The practice of testing a whole building’s air tightness (or air permeability) is common in Europe and North America as it is recognised that well-sealed buildings perform measurably better for both energy efficiency and control of the indoor environment. The average air tightness of Australian buildings is comparably poor and this sometimes contributes to a failure to reach energy efficiency goals. Green Star offers up to two Innovation Challenge points for a building test, but few projects have yet to take advantage of this opportunity. 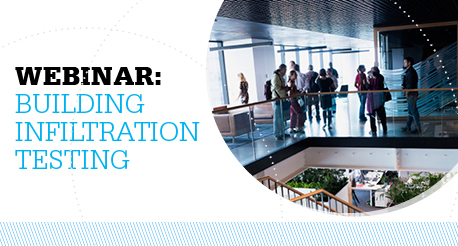 This webinar will see Sean Maxwell from the Air Infiltration and Ventilation Association of Australia discuss building infiltration testing in Australia, the benefits of conducting testing, and where it fits into Green Star. Sean Maxwell has conducted more than a thousand blower door tests over 10 years as a green building professional in the United States. He has written research for the U.S. Department of Energy’s Building America program and has contributed to the development of energy codes in New York State. We will also hear from Chris Nunn from AMP who will discuss building infiltration testing in Australia and Robert Milagre from the GBCA who will discuss Building Infiltration and Green Star.